Sometimes people will call in after their IT folks improperly setup their Sharp printer and mention that they can’t print from tray 3, or they can’t print with staples. The print driver wasn’t configured, it is a quick fix! Follow along with the video above to take your print driver by the horns and make it do whatever you want. *If the configuration tab is greyed out this means the printer is installed on another computer or a server. The configuration will need to be done from that computer/server. You should be able to see in the printers menu what the name of the computer is as the name will be something like “Sharp MX-4140N on Server1.” You’d need to get in front of Server1 and knock this out there. Please I am using Sharp MX 2300N plc6 printer. 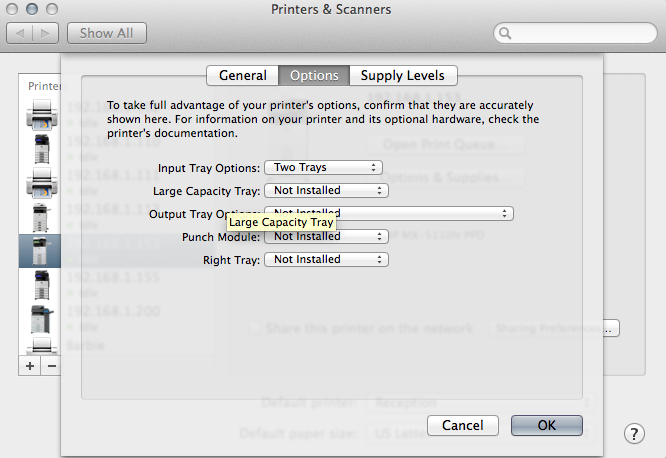 It can’t print and only shows “printer in error state.”. I followed the steps about above to do I the auto configuration but a text pops up that “the configuration settings could not be updated automatically”. Sounds like the printer port is the issue. Make sure the port is a standard TCP/IP port and it is pointing to the correct IP address. If all else fails, just re-install the print driver by following the instructions on the Print Drivers tab of our site. How do I scan a document through USB to my PC? 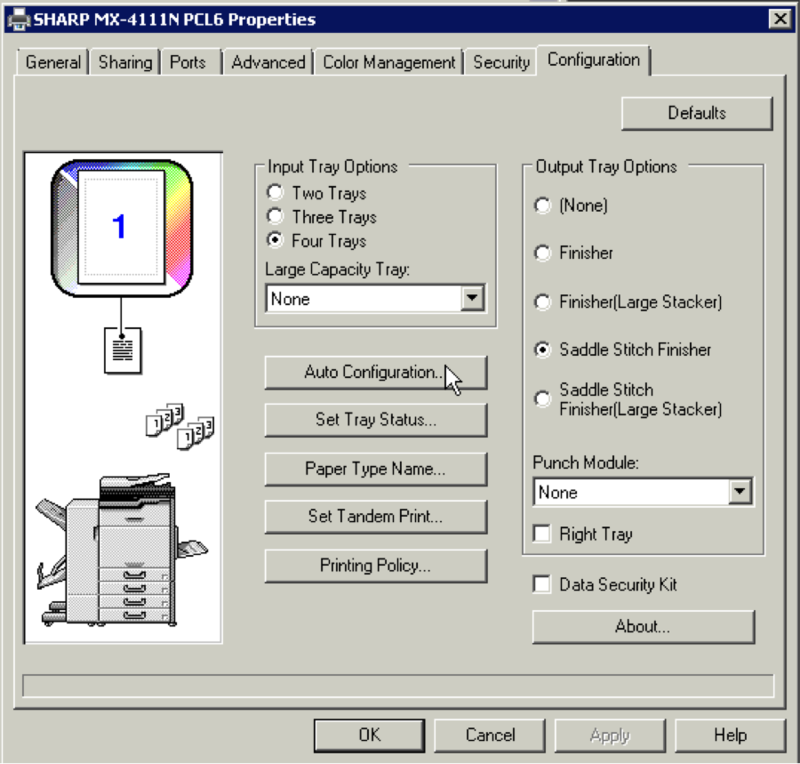 Most of the Sharp models are required to be networked via Cat5 or wireless connection in order to scan. You may be able to scan to a USB stick depending on what model your copier is. 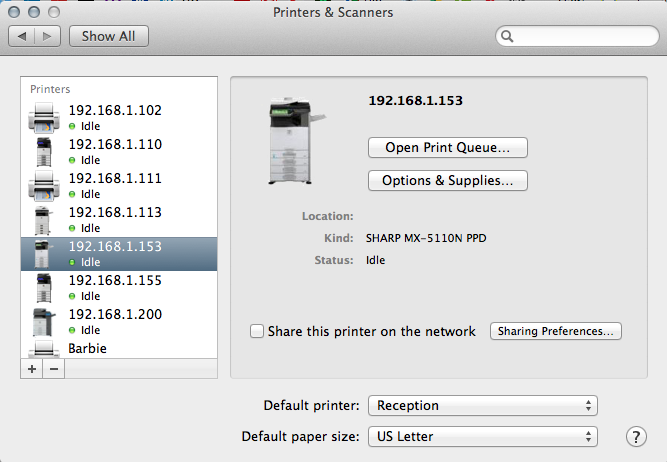 Your copier most likely does not have post script installed, which is required to print PDFs. I recommend contacting the dealer you acquired your machine from to purchase post script. – Job is received and queued for a few seconds but nothing prints out. N.B: All other computers in the small enterprise network which were configured by another IT administrator are able to print. 1. Are you using a post script driver? That model does not come standard with PS. Use the PCL6 driver. The machine will rev up and discard a job if sent with a PS driver without PS installed. 2. Do you have to enter a code to make copies? You may need to enter a code on the job handling tab of the driver. The same thing will happen, the machine will rev up and discard the job sent without a user code attached to it.